The Richmond Flying Squirrels, Double-A affiliate of the San Francisco Giants, are pleased to announce that Hall of Fame pitcher and 314-game winner Gaylord Perry will headline the fifth annual Charity Hot Stove Banquet on Wednesday, January 21 at VCU’s Stuart C. Siegel Center. Chris Davis not on Baltimore ALCS roster: Good move? Whatever temptation was there for Baltimore manager Buck Showalter to put first baseman Chris Davis on the O’s American League Championship Series roster was tempered by the obvious. The Binghamton Mets (1-0) handled the Richmond Flying Squirrels (0-1), 5-2, in game one of the Eastern League Championship Series on Tuesday night at The Diamond. The Myrtle Beach Pelicans shut out the Salem Red Sox in the deciding game of the Southern Division championship series 5-0, to advance to the Mills Cup Championship against Potomac. The Richmond Flying Squirrels (1-0) rebounded after blowing a ninth-inning lead to finish off the Akron RubberDucks (0-1), 3-2, in 11 innings on Wednesday night at Canal Park. Kevin Ahrens hit his league-leading 41st double of the year, and Jose Martinez and Sean Godfrey each notched an RBI Monday, but the Lynchburg HIllcats fell to Myrtle Beach in the regular-season finale at TicketReturn.com Field, 3-2. The Salem Red Sox coughed up multiple leads and fell to Wilmington 7-6 in 10 innings on Monday afternoon, with Logan Davis’ RBI triple off Kyle Kraus sending the Rocks to the winners’ circle in their season finale. 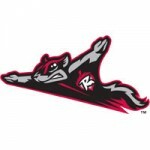 The Richmond Flying Squirrels (79-63) rolled over the Binghamton Mets (83-59), 12-4, in their final regular season game on Monday afternoon at The Diamond. 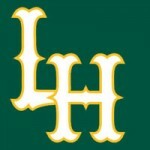 Lucas Sims pitched six scoreless innings, and David Peterson tossed the final three to preserve a 2-1 victory for Lynchburg at TicketReturn.com Field Sunday night. Righthander Simon Mercedes delivered seven spectacular innings on the hill and catcher Jake Romanski crushed four doubles with the bat to help the Salem Red Sox surpass Wilmington 4-1 on Sunday afternoon. Two teams involved in separate Wild Card races needed 10 innings to determine a winner, but the Hillcats prevailed in an extra-inning thriller with a 5-4 victory at Carolina Friday night to maintain a one game lead over Frederick in the Northern Division standings. 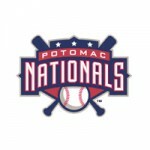 Salem scored four times in the fourth to create a 4-0 lead, but Frederick furiously fought back, jacking three homers in their final three offensive innings and soaring to a 6-4 victory on Friday night at Harry Grove Stadium. The Keys plated five runs in the first and cruised to a 10-3 win over the Salem Red Sox on Thursday evening at Harry Grove Stadium, preventing the Sox from gaining a game on Carolina, who lost to Lynchburg 6-2 in Zebulon. Carlos Asuaje recorded five hits over two games on Wednesday night, and the Salem Red Sox mustered a clutch comeback to earn a split of their doubleheader in Frederick. Two errors in the ninth inning opened the door for the Hillcats, trailing 4-3 in the final frame, but Lynchburg stranded the tying run at third base and fell to Carolina in the series opener of a four-game set Tuesday night. The Keys jumped on Sox starter Simon Mercedes for four runs in the first two innings, providing a cushion that helped Frederick ward off Salem’s late comeback in a 5-4 victory on Tuesday night at Harry Grove Stadium. Pat Light and Kyle Martin were both excellent on the hill, the Sox offense awakened in the seventh inning, and Salem dispatched Wilmington 6-2 in the regular season home finale at LewisGale Field. Johan Camargo’s sacrifice fly in the 11th inning gave the Lynchburg Hillcats their 11th walk-off victory of the season, 6-5 over Myrtle Beach at Calvin Falwell Field Sunday night. The Salem Red Sox overcame two-run deficits to take the lead in both games on Sunday, but only managed one win against the visiting Blue Rocks at LewisGale Field. Blake Brown went 2-for-3 with an RBI double, but Lynchburg’s losing streak increased to eight Friday night as the Myrtle Beach Pelicans used two different four-run frames to claim an 8-2 victory over the Hillcats in the series opener at Calvin Falwell Field. Jantzen Witte laced a sinking line drive into left field with the bases loaded in the last of the 10th, scoring Matty Johnson from third to trigger a victory celebration on Friday night in Salem. Simon Mercedes held the Dash to just one run on four hits over six and a third innings, paving to the way to Salem’s narrow 2-1 triumph over Winston-Salem on Thursday night at BB&T Ballpark. Lynchburg couldn’t halt its skid Wednesday night, as the Hillcats dropped both ends of a doubleheader against Potomac to move its losing streak to seven games. Off the bat, it looked like the teenager had a two-run triple. Salem’s Manuel Margot, the 19-year-old in his third Carolina League game, had other ideas. Lynchburg plated two unearned runs in the fifth inning but was shutout the rest of the way in a 7-2 loss at Harry Grove Stadium, as Frederick completed a sweep of the Hillcats Sunday afternoon. Daniel Carroll scored the only run for Lynchburg on a night that saw the Frederick pitching staff hold the Hillcats to two hits offensively, as Lynchburg dropped its second straight contest to the Keys, 6-1. Manuel Margot launched a three-run homer that broke a 3-3 tie in bottom of the third, opening the floodgates as the Salem Red Sox pounded Pelicans pitching for a season-high 21 hits in a 17-9 triumph on Saturday night. 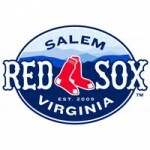 After not playing any baseball for about 140 hours, the Salem Red Sox won four games in a 29-hour span over Potomac, bolting past Carolina and Winston-Salem to lead the race for the final playoff spot. Justin Bloxom and Kevin Ahrens each had solo home runs Thursday night, but the Hillcats could not complete the sweep at BB&T Ballpark and fell to Winston-Salem, 5-4. Jose Martinez provided the game-winning hit, driving home Eric Garcia from second base in the ninth inning, to complete a three-run comeback and give the Hillcats a 4-3 victory at BB&T Ballpark Wednesday night.